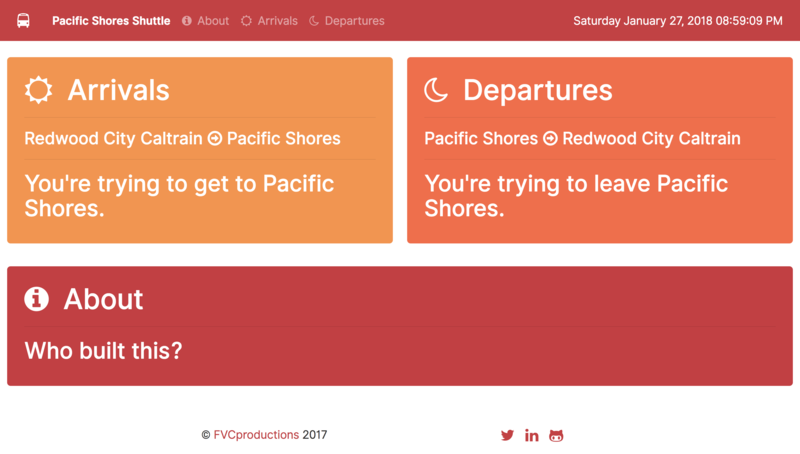 I created this demo app using PowerForms to try and impress the developer evangelism team at DocuSign. 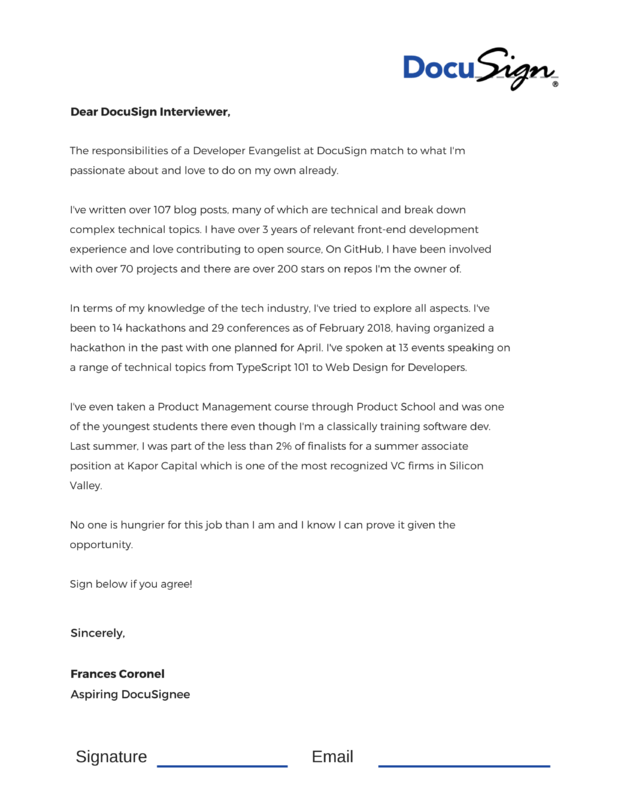 I applied for a “Developer Evangelist” job at DocuSign and was one of two finalists. I did not end up getting the job and actually felt a much less qualified candidate was able to get the job due to bias but overall, they had a really engaging interview process and everyone was super nice so kudos to DocuSign. The work you can find below was part of my attempt to better convince the developer evangelism team that I’d be a good fit. I have since removed the PowerForm that I created but the PowerForm looked like this. I also created a presentation for this interview on Demystifying Meltdown & Spectre. More details on my unsucessful but engaging interview process can be found on Glassdoor. 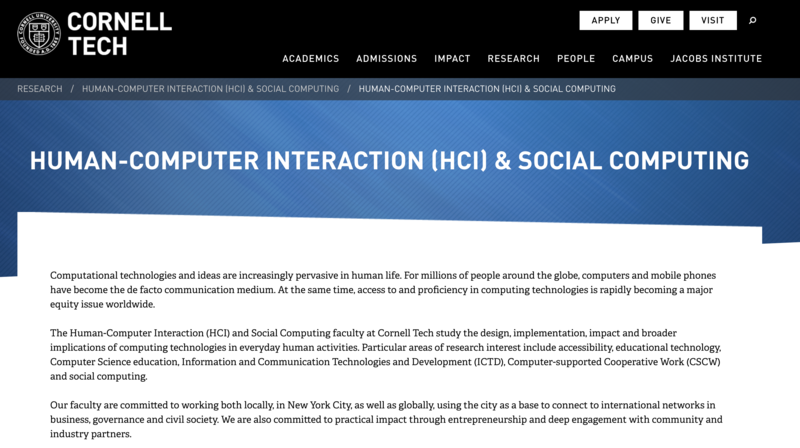 Application I applied online. The process took 4+ weeks. I interviewed at DocuSign (San Francisco, CA) in February 2018. Interview Sat, Jan 27 - Applied online Tue, Jan 30 - Recruiter reaches out and an initial phone call is set up Thurs, Feb 1 - Initial call with recruiter - get positive impression of team/company Wed, Feb 7 - Call with the director of dev rel team. Check out the DocuSign documentation for how to create your first PowerForm. Note that I am using jQuery as a dependency. There’s also this useful YouTube video that gives a technical overview of how PowerForms work. Thanks Aaron & Dewey for the useful tutorial! DocuSign Developer Center - http://bit.ly/2BUp72B Aaron Liao talks with Dewey Wald, DocuSign’s Principal Software Architect. In this second demo discussion with Dewey, you get to see a PowerForm integration scenario. We will create a template, convert it to a PowerForm, and then show the integration of a button to launch the form from your website. The short link for this post is bit.ly/frances-docusign. Sukromia is an in-browser encryption tool that allows any messaging service to instantly become safe and secure.